The neocortex is the part of the brain which endows us with many of our most human-like cognitive abilities, such as language and logical reasoning, but is also the center of sensory perception, motor planning, and adaptive associative processing for all mammals. 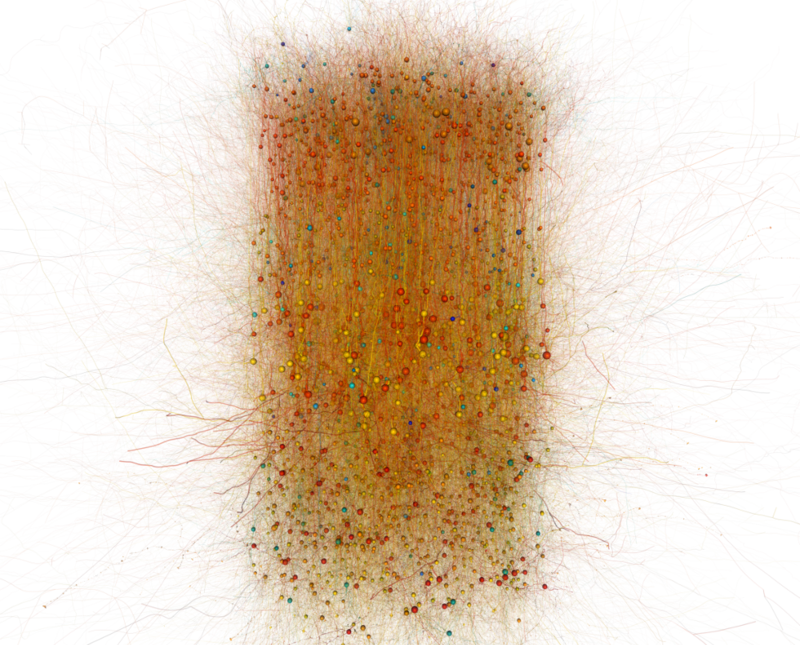 It is a 2-3mm thick sheet of tissue on the surface of the brain, organized in modules for specific modalities, and densely interconnected by dense information exchange highways, the neocortical white matter axons. The neocortex has an enigmatic, characteristic and repeating architecture of neuronal types and layers, which is largely preserved across modalities and across species, with minor variations on the theme. Since its anatomical characterization by the prominent spanish Neuroanatomist and Noble Laureate Ramon Y Cajal at the end of the 19th century, it has been the subject of intense scientific study. While much is known about neocortical anatomy and physiology, we still lack an understanding of the mechanisms of neocortical function and dysfunction. An integration of current knowledge into a simulation of the neocortex would be an important step towards unlocking its mysteries. What makes the somatosensory cortex special? Somatosensory cortex is the set of modules of the neocortex responsible for processing sensations of touch. It has an architecture stereotypical of neocortical areas processing sensory information, and rodent neocortex has become a classical model system due to its experimental accessibility. The anatomy and physiology of rat somatosensory cortex has been extensively studied, and a process for reconstructing and simulationing this neocortical microcircuit was recently reported in a landmark study for integrative data-driven neuroscience (Markram et al. 2015). The HBP Brain Simulation Platform is being developed to enable collaborative integration of multiscale neuroscience knowledge into data-driven reconstructions of specific brain regions. Leveraging recently achieved or forthcoming large-scale datasets on whole brain organization of the mouse, we are developing predictive approaches to realize a multi-scale data-driven reconstruction eventually of the mouse neocortex at a cellular resolution. Based on Markram et al. 2015, which laid out a process for reconstructing and simulationing a neocortical microcircuit applied to rat somatosensory cortex, a new scaffold microcircuit model for the somatosensory cortex of the mouse has been built. This model combines specific data sets obtained for mouse somatosensory cortex (such as layer height, cell distribution, bouton densities, post-synaptic potential amplitudes), models of neuronal electrophysiology constrained to mouse primary visual cortex data from the Allen Cell Types database, and data sets that were algorithmically transformed from rat to mouse. As such it represents a proof-of-concept of a cross species data integration strategy. For example rat morphologies were scaled according to the ratio of heights of the mouse and rat circuits to match mouse proportions, and neurite diameters were transformed to match branch order dependencies of mouse V1 data (Allen Cell Types Database). The microcircuit model features 45891 neurons (7 hypercolumn modules of ~6555 cells each) and ~116 million synapses. The somatosensory cortex microcircuit modeling is proceeding to adhere to the structured phase of the newly defined HBP modeling life cycle. Initial simulations of local-field-potential and the currents associated with it have been made available to HBP partners in the Theory sub-project researching these topics. The mouse somatosensory microcircuit is released in the HBP Brain Simulation Platform and available for in silico experiments. It is intended as a scaffold model to launch community involvement in its further refinement. In particular, it is well poised to integrate emerging datasets with transcriptomic information, and to leverage the next generation, atlas-based reconstruction pipelines developed in the Blue Brain Project towards scaling up the reconstruction to larger parts of the mouse cortex and its macro-scale connectivity. In March 2018, the first draft reconstruction of the mouse somatosensory microcircuit was released. In the SGA2 period, a community process will be launched along the lines as already initiated for the HBP hippocampal reconstruction efforts. The aim is to use the atlas-based pipeline to reconstruct the somatosensory brain region of the mouse in cooperation with community partners. Point neuron versions of the models, simplified using an automated process developed in SP6, will also be available. Model use: If you simply want to use some of the results of our work (e.g. take a mouse somatosensory cortex pyramidal neuron for a spin, create your own variant thereof, analyse the network, etc.) you can go to the Brain Simulation Platform and launch one of the respective use cases. Alternatively, you can download data and models; they will be made available upon publication of the relevant paper(s).